Humpty Dumpty sat on a wall… remove a brick, but don’t let him fall! 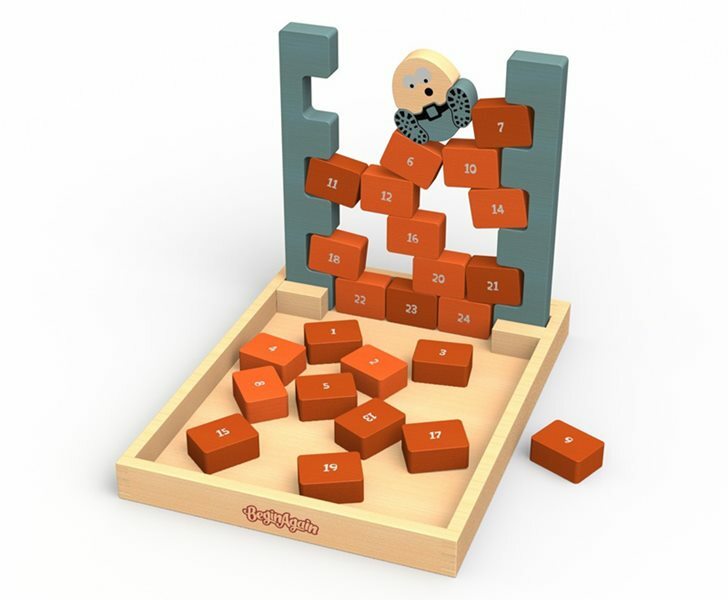 This versatile new learning game from BeginAgain, comes with game ideas and rules for players as young as 2 and can be played alone, in pairs or with teams. 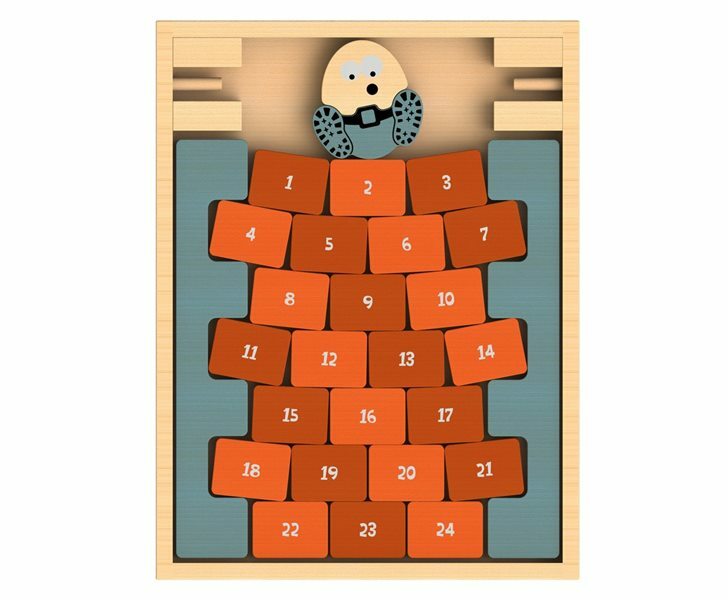 Little ones can stack the numbered bricks to create a wall, then set the two-piece Humpty Dumpty on top and take turns removing bricks. If kids let him fall, he’ll crack apart, encouraging tots to be oh so careful. The included number bricks can be used to help develop basic math skills and older tots will have fun accumulating points. This toy is made from eco-friendly, all natural rubberwood and finished with non-toxic, child-safe stains. All the pieces fit into the wood storage tray for easy clean-up. Recommended for ages 2+. Humpty Dumpty sat on a wall... remove a brick, but don't let him fall! This versatile new learning game from BeginAgain, comes with game ideas and rules for players as young as 2 and can be played alone, in pairs or with teams. Little ones can stack the numbered bricks to create a wall, then set the two-piece Humpty Dumpty on top and take turns removing bricks. If kids let him fall, he'll crack apart, encouraging tots to be oh so careful. The included number bricks can be used to help�develop basic math skills and older tots will have fun�accumulating points. This toy�is made from eco-friendly, all natural rubberwood and finished with�non-toxic, child-safe stains. All the pieces fit into the�wood storage tray for easy clean-up.�Recommended for ages 2+.